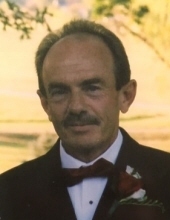 BELLINGER, Craig Alan - Age 66, of Flint, died Sunday, March 31, 2019. Funeral services will be held 10:30 AM Saturday, April 6, 2019 at Sharp Funeral Home and Cremation Center, 6063 Fenton Road, Flint. Pastor Mark Cox officiating. Visitation will be held at the funeral home Friday, from 4-8 PM. Craig was born March 31, 1953 in Flint, the son of Robert Richard and Betty Lou (Harmon) Bellinger. He married Gail Lucille Barber August 3, 1996 and she preceded him in death December 20, 2011. He had resided in Flint and Grand Blanc his entire life. Craig retired from GM Truck and Bus after 30 years of service. He was a member of the U.A.W. Local #598. He enjoyed spending time with his family and sharing his love of hunting, fishing, and golfing. Surviving are: his children, Thomas Bellinger of Illinois, Adam Bellinger of Virginia, Ryan Bellinger of Durand, and Jamie Zito of Davison; step children, Ernie (Tammy) Carrasco, Rod (Lisa) Tessmer, Shane (Melissa) Russeau all of Davison; grandchildren, Kash, Amelia, Rodney, Kyle, Danielle, Kylie, Brooklyn, Bryce, Allison, Brandon, Brenden, Xander, and Delisa; 3 great grandchildren; brothers, Robert (Debbie) Bellinger of Clio and Geoff (Lisa) Bellinger of Fenton; and several nieces and nephews. He was preceded in death by his parents; and brother, Barry Bellinger. Tributes may be posted at www.sharpfuneralhomes.com. To send flowers or a remembrance gift to the family of Craig Alan Bellinger, please visit our Tribute Store. "Email Address" would like to share the life celebration of Craig Alan Bellinger. Click on the "link" to go to share a favorite memory or leave a condolence message for the family.